Number of inhabitants by 31.12. 2000: 801. 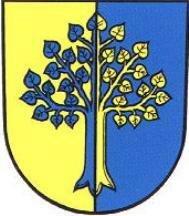 Služovice and Vrbka, being a local settlement, are first mentioned in 1349. At the beginning the village was in possession of the Premonstratensian Monastery of Hradisko u Olomouce. Since 1795 the village was owned by lords from Oldřišov. In 1920 the village was incorporated into Czechoslovakia. During World War II the village belonged to Germany. Though the village is of a farming character, most economically active people work in secondary and tertiary sectors of national economy.